I’ve taken to snapping photos and pinning garden ideas for inspiration–and future experimentation. The shot above is from Savannah’s Owens-Thomas House. 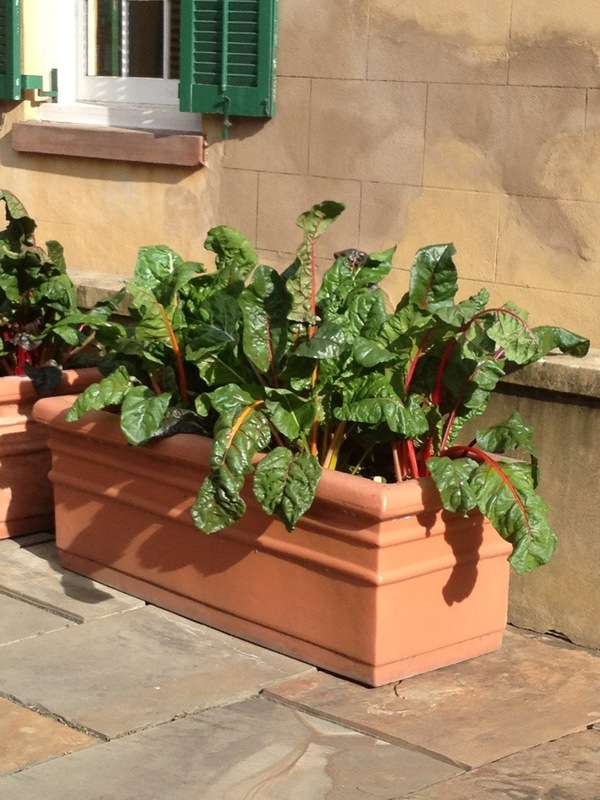 It’s rainbow chard being treated as a decorative patio plant. It got me thinking: what if all of our patio pots and planters held edibles? Last spring, our pal Mack gave us three transplants he grew from seed. Two survived the Texas surface of the sun summer and they now reside in the flower beds in the front of the house. They are very beautiful, yet hardy and they make me want to learn more about native Texas plants. 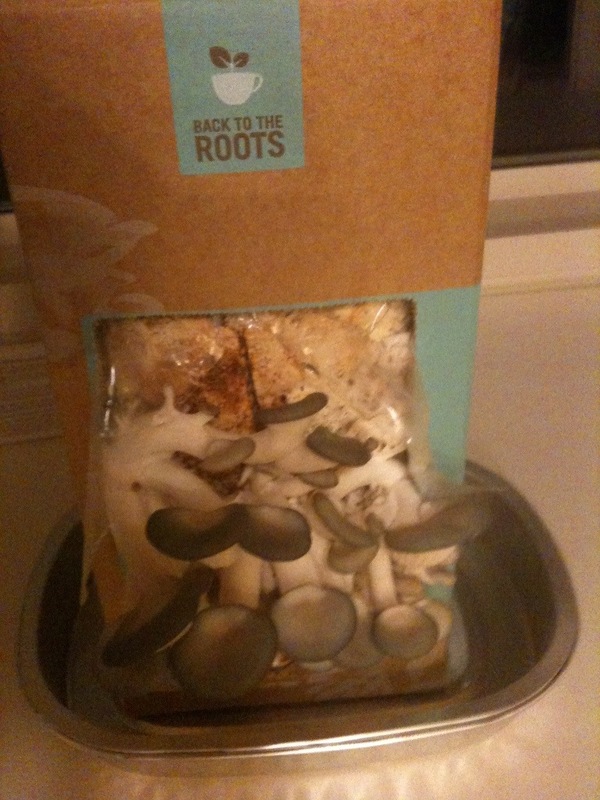 And then there was last winter’s indoor experiment of growing mushrooms. And as a CAL graduate, it made me snicker that this oyster mushroom kit came from Berkeley and the growing medium was coffee grounds from Peet’s. I was inspired to do it after reading an article about the guys who started the company (and it sounded like a neat thing to do). It was a lot of fun especially since my coworker Lisa and I did it together. The mushrooms were quite delicious but I was not moved to do it again. Still, it may have been the catalyst for the urban farm’s raised bed. 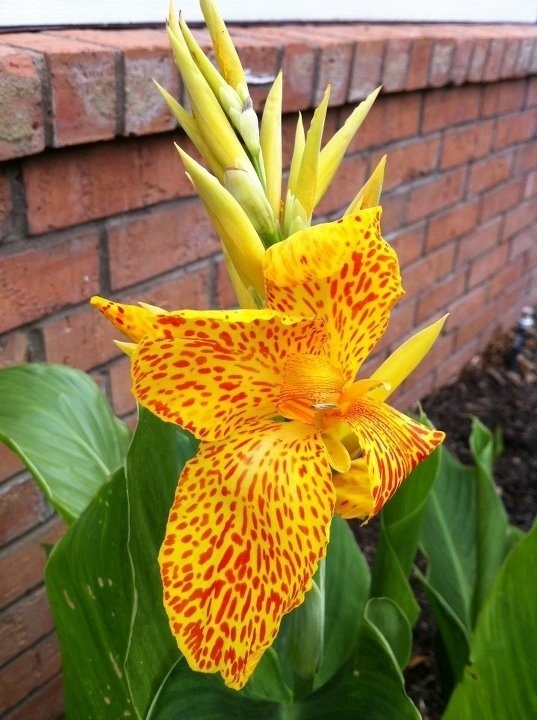 This entry was posted in Sow and tagged canna, chard, edibles, garden, gardening, inspiration, mushrooms. Bookmark the permalink. I love the idea of edible window boxes but, like you, I also like flowers. Having said that, I did once plant a huge window box full of herbs.